JAPAN NEWS: Sharp considering China deal for LCD production | What Hi-Fi? According to reports in Japan's Nikkei business daily, the Osaka-based company, which is forecasting a loss of almost £1bn for the current financial year, is holding discussions with Chinese company SVA (Group) Ltd., based in Shanghai. 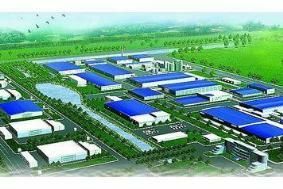 Two proposals are said to be on the table: one would see the establishment of a joint-venture company to make LCD panels in China, while the other involves the sale of some of Sharp's earlier-generation plant to SVA, to which it would then outsource production of some LCD models. The Nikkei report says that SVA currently makes panels using fifth-generation technology, but that Sharp could be about to sell it the sixth-generation equipment it brought on-stream at its plant at Kameyama, Japan, in 2004. In 2006 Sharp opened a second factory at the same location, making eighth-generation panels, which give better production efficiency due to the use of larger sheets of mother glass, and plans to open a tenth-gen factory near its base in Osaka next year. It's thought that Sharp, which pioneered LCD production in Japan, wants to concentrate on making latest-technology panels on home turf, while moving older-generation production for less expensive products overseas. The two companies hope to reach an agreement in the very near future, but while Sharp is thought to favour the outsourcing option, SVA is said to be more interested in a joint venture, which would give it access to Sharp's latest LCD technology.